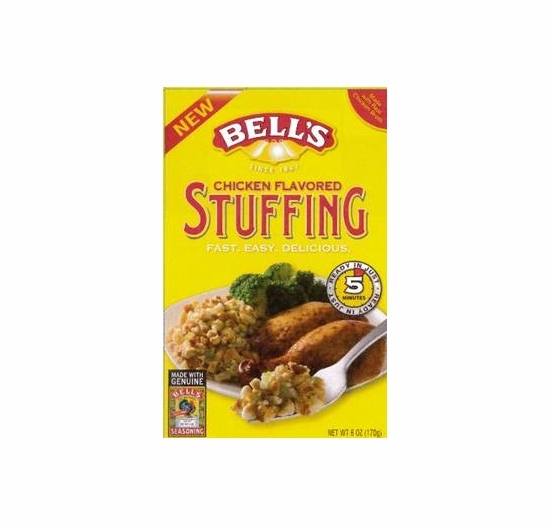 Bell's Chicken Flavored Stuffing 6 oz. Home / Foods of New England / Brands (New England Favorites) / Bell's Seasonings & Stuffing / Bell's Stuffings / Bell's Chicken Flavored Stuffing 6 oz. Home / Pantry Items / Hometown Food Favorites / Bell's Seasonings & Stuffing / Bell's Stuffings / Bell's Chicken Flavored Stuffing 6 oz. Home / New England Classics / Hometown Food Favorites / Bell's Seasonings & Stuffing / Bell's Stuffings / Bell's Chicken Flavored Stuffing 6 oz. Home / Foods of New England / Hometown Food Favorites / Bell's Seasonings & Stuffing / Bell's Stuffings / Bell's Chicken Flavored Stuffing 6 oz. Home / Specialty Grocery / Hometown Food Favorites / Bell's Seasonings & Stuffing / Bell's Stuffings / Bell's Chicken Flavored Stuffing 6 oz. Home / Local Portuguese Foods / Hometown Food Favorites / Bell's Seasonings & Stuffing / Bell's Stuffings / Bell's Chicken Flavored Stuffing 6 oz. Home / Pantry Items / Global Favorites / Local Portuguese Foods / Hometown Food Favorites / Bell's Seasonings & Stuffing / Bell's Stuffings / Bell's Chicken Flavored Stuffing 6 oz. Home / Specialty Grocery / Global Favorites / Local Portuguese Foods / Hometown Food Favorites / Bell's Seasonings & Stuffing / Bell's Stuffings / Bell's Chicken Flavored Stuffing 6 oz. Home / Foods of New England / Local Portuguese Foods / Hometown Food Favorites / Bell's Seasonings & Stuffing / Bell's Stuffings / Bell's Chicken Flavored Stuffing 6 oz. 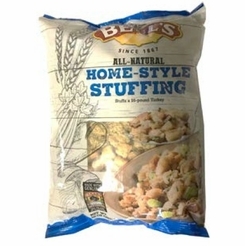 Home / Popular Brands / Bell's Seasonings & Stuffing / Bell's Stuffings / Bell's Chicken Flavored Stuffing 6 oz. Home / Pantry Items / Specialty Foods / Organic & Natural Food Brands / Bell's Seasonings & Stuffing / Bell's Stuffings / Bell's Chicken Flavored Stuffing 6 oz. 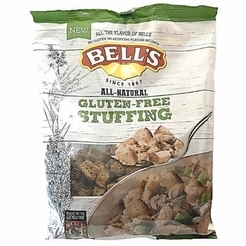 Home / Specialty Grocery / Specialty Foods / Organic & Natural Food Brands / Bell's Seasonings & Stuffing / Bell's Stuffings / Bell's Chicken Flavored Stuffing 6 oz. Home / Pantry Items / Breads & Stuffing / Bell's Chicken Flavored Stuffing 6 oz. Home / New England Classics / Breads & Stuffing / Bell's Chicken Flavored Stuffing 6 oz. Home / Specialty Grocery / Breads & Stuffing / Bell's Chicken Flavored Stuffing 6 oz. Home / Foods of New England / Breads & Stuffing / Bell's Chicken Flavored Stuffing 6 oz. Home / BBQ & Grilling / Meats & Breads for Grilling / Breads & Stuffing / Bell's Chicken Flavored Stuffing 6 oz. Home / Hot GIFT Ideas / BBQ & Grilling / Meats & Breads for Grilling / Breads & Stuffing / Bell's Chicken Flavored Stuffing 6 oz. Home / Hot GIFT Ideas / Gifts For Him / Party Favorites / BBQ & Grilling / Meats & Breads for Grilling / Breads & Stuffing / Bell's Chicken Flavored Stuffing 6 oz. Home / New England Classics / Clambake & Seafood / Meats & Breads for Grilling / Breads & Stuffing / Bell's Chicken Flavored Stuffing 6 oz. Home / Foods of New England / Clambake & Seafood / Meats & Breads for Grilling / Breads & Stuffing / Bell's Chicken Flavored Stuffing 6 oz. Home / BBQ & Grilling / Clambake & Seafood / Meats & Breads for Grilling / Breads & Stuffing / Bell's Chicken Flavored Stuffing 6 oz. Home / Hot GIFT Ideas / BBQ & Grilling / Clambake & Seafood / Meats & Breads for Grilling / Breads & Stuffing / Bell's Chicken Flavored Stuffing 6 oz. Home / Hot GIFT Ideas / Gifts For Him / Party Favorites / BBQ & Grilling / Clambake & Seafood / Meats & Breads for Grilling / Breads & Stuffing / Bell's Chicken Flavored Stuffing 6 oz. Home / Pantry Items / Hometown Food Favorites / Meats & Breads for Grilling / Breads & Stuffing / Bell's Chicken Flavored Stuffing 6 oz. Home / New England Classics / Hometown Food Favorites / Meats & Breads for Grilling / Breads & Stuffing / Bell's Chicken Flavored Stuffing 6 oz. Home / Foods of New England / Hometown Food Favorites / Meats & Breads for Grilling / Breads & Stuffing / Bell's Chicken Flavored Stuffing 6 oz. Home / Specialty Grocery / Hometown Food Favorites / Meats & Breads for Grilling / Breads & Stuffing / Bell's Chicken Flavored Stuffing 6 oz. Home / Local Portuguese Foods / Hometown Food Favorites / Meats & Breads for Grilling / Breads & Stuffing / Bell's Chicken Flavored Stuffing 6 oz. Home / Pantry Items / Global Favorites / Local Portuguese Foods / Hometown Food Favorites / Meats & Breads for Grilling / Breads & Stuffing / Bell's Chicken Flavored Stuffing 6 oz. Home / Specialty Grocery / Global Favorites / Local Portuguese Foods / Hometown Food Favorites / Meats & Breads for Grilling / Breads & Stuffing / Bell's Chicken Flavored Stuffing 6 oz. Home / Foods of New England / Local Portuguese Foods / Hometown Food Favorites / Meats & Breads for Grilling / Breads & Stuffing / Bell's Chicken Flavored Stuffing 6 oz. Home / Pantry Items / Hometown Food Favorites / Breads & Stuffing / Bell's Chicken Flavored Stuffing 6 oz. Home / New England Classics / Hometown Food Favorites / Breads & Stuffing / Bell's Chicken Flavored Stuffing 6 oz. Home / Foods of New England / Hometown Food Favorites / Breads & Stuffing / Bell's Chicken Flavored Stuffing 6 oz. Home / Specialty Grocery / Hometown Food Favorites / Breads & Stuffing / Bell's Chicken Flavored Stuffing 6 oz. Home / Local Portuguese Foods / Hometown Food Favorites / Breads & Stuffing / Bell's Chicken Flavored Stuffing 6 oz. Home / Pantry Items / Global Favorites / Local Portuguese Foods / Hometown Food Favorites / Breads & Stuffing / Bell's Chicken Flavored Stuffing 6 oz. Home / Specialty Grocery / Global Favorites / Local Portuguese Foods / Hometown Food Favorites / Breads & Stuffing / Bell's Chicken Flavored Stuffing 6 oz. Home / Foods of New England / Local Portuguese Foods / Hometown Food Favorites / Breads & Stuffing / Bell's Chicken Flavored Stuffing 6 oz. 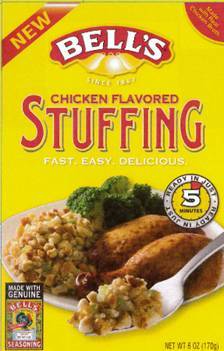 Home / Pantry Items / Meats & Seafood / Breads & Stuffing / Bell's Chicken Flavored Stuffing 6 oz. Home / New England Classics / Meats & Seafood / Breads & Stuffing / Bell's Chicken Flavored Stuffing 6 oz. Home / Hot GIFT Ideas / Gifts For Him / Meats & Seafood / Breads & Stuffing / Bell's Chicken Flavored Stuffing 6 oz. Home / Foods of New England / Meats & Seafood / Breads & Stuffing / Bell's Chicken Flavored Stuffing 6 oz. Home / Meats & Seafood / Breads & Stuffing / Bell's Chicken Flavored Stuffing 6 oz. 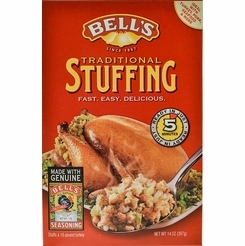 Home / Specialty Grocery / Meats & Seafood / Breads & Stuffing / Bell's Chicken Flavored Stuffing 6 oz. Home / Hot GIFT Ideas / Gifts For Him / Party Favorites / Meats & Seafood / Breads & Stuffing / Bell's Chicken Flavored Stuffing 6 oz. Make everyday something really special. Bell's chicken stuffing is made with real chicken broth and is the ideal side-dish with almost any meal. Made with genuine Bell's seasoning, Bell's chicken stuffing is sure to be a favorite with everyone! And now with an easy "5-Minute Prep" option, you can make Bell's stuffing on your stove-top too! The fast and delicious side-dish for just one person or for the whole family! 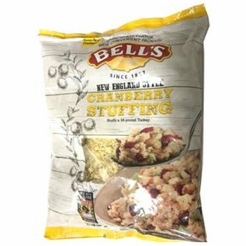 * Bell's New England Cranberry Stuffing 14 oz. 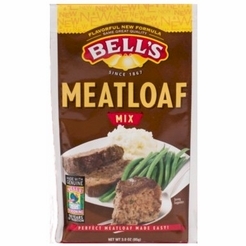 Bell's Meatloaf Mix 3 oz.